OneNote UWP app update 17.7830.10001 is now available for Fast Ring Insiders. The latest OneNote UWP app update brings major change like support for Password protection, new page creation control, Bullet list gallery, paragraph handles and more. Password protection: The ability to password protect notebook sections as well as change passwords and unlocking protected sections. New page creation control: You can now create a new page below the highlighted page by selecting the command in the context menu (previously, you could only add a new page at the bottom of the page list). Bullet list gallery: Users can now choose from eight bullet styles instead of just the one provided in the past. 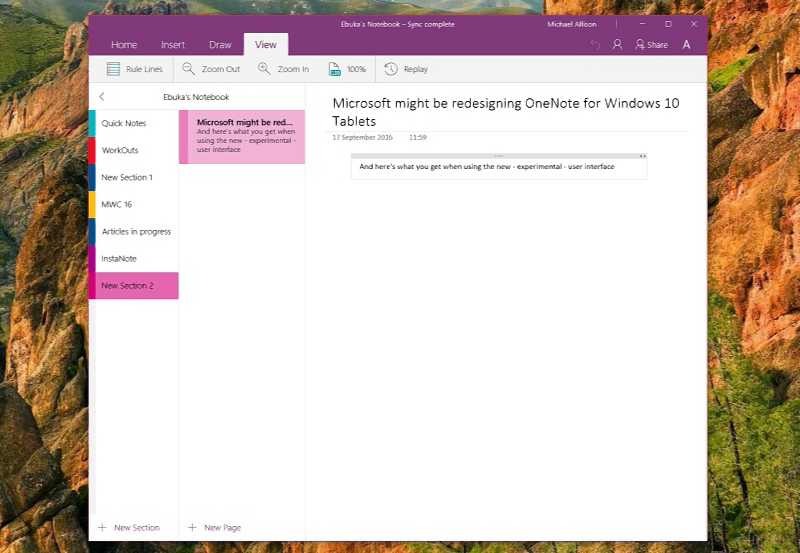 Image saving: Images can now be saved from OneNote via the context menu. File attachment saving: File attachments can now also be saved from OneNote via a context menu command. Shapes gallery: Shapes can now be inserted via the Insert tab while holding Shift while inserting creates a perfect shape. Table support: Almost all table features are now included except the options for ‘Hide Borders’ and ‘Header Row’. If you are an Insider member, you can download the app from Windows Store or from the link below.